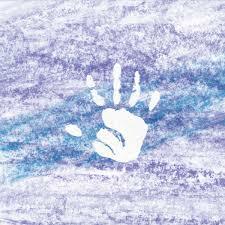 Last November, Seattle’s Kid Smpl released Skylight, his first official album, via Hush Hush Records. The imprint, run by Kexp’s Alex Ruder, has managed to showcase the best introspective electronic music from the Pacific Northwest. The label has gathered a collective of likeminded artists that have created a new genre of electronic called “Night Bus” which they describe as “a multi-genre aesthetic that elaborates on the world of headphones, late-night travels, intimate encounters, and contemplative rides on public transportation.” While this music is not necessarily created with the dance floor in mind, the label has created quite a stir and garnered itself a cult following. Label mates Kid Smpl and DJAO were both featured on Friends of Friends “Show Me The Future” compilation. Kid Smpl was also featured on XLR8R’s prestigious Bubblin’ Up which aims to showcase up and coming electronic artists. On May 28th Hush Hush released a remix album of Skylight and followed it up the following week with a second installment. Both volumes are free for download on the labels bandcamp page and pack a slew of inventive covers, remixes and reworks from some of the top west coast producers like Jerome LOL and DevonWho. The remix albums also pack tracks from up and comers like DJAO and IG88 who are helping to shape the pacific northwest’s vibrant electronic music scene.